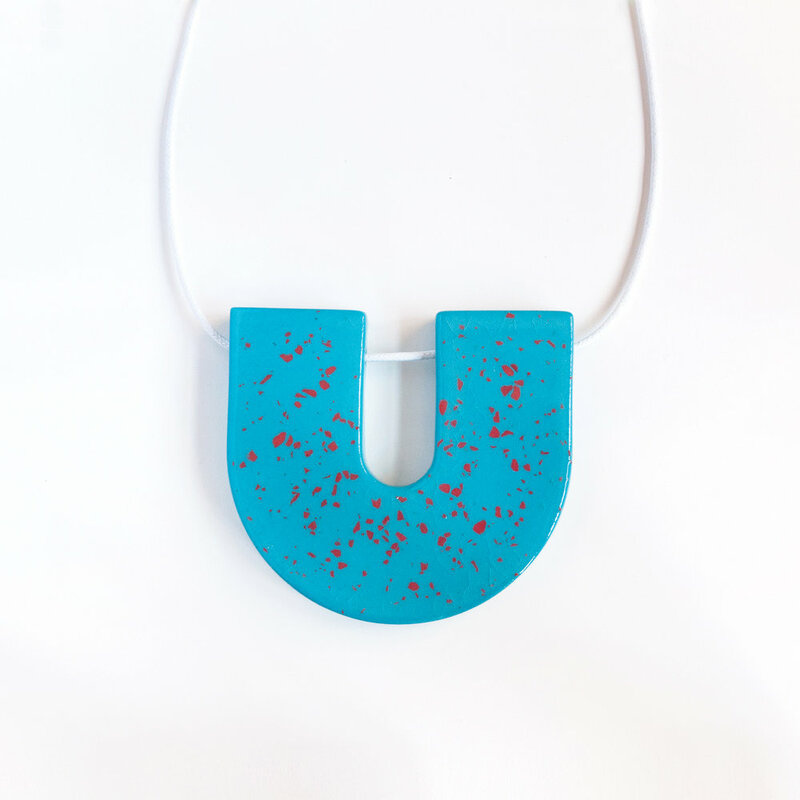 Inspired by a variety of sources such as galaxies, terrazzo, and confetti, each piece from the Nova Jewelry collection incorporates bits of dyed and fired porcelain, giving it a unique speckled appearance. 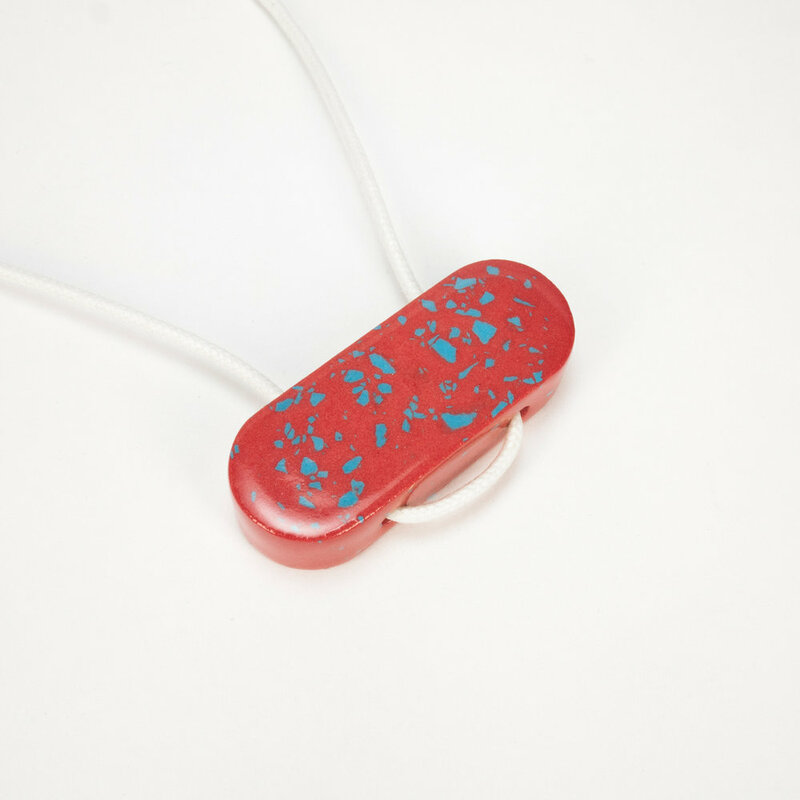 Available in a variety of shapes and colors, each necklace contains its own miniature universe. This necklace is available on waxed cotton cord or gold plated brass chain. 2.25" x 2", Cord 30"